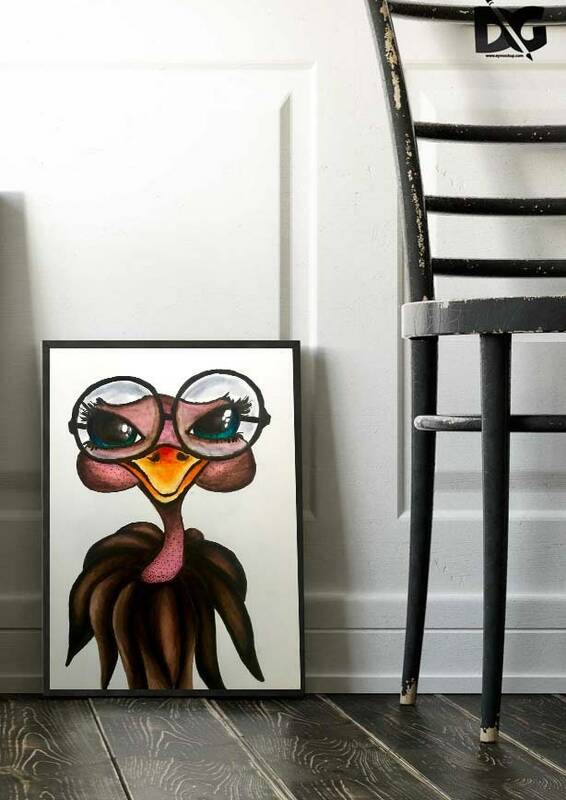 This Watercolor Illustration was originally painted by Abby Smith. 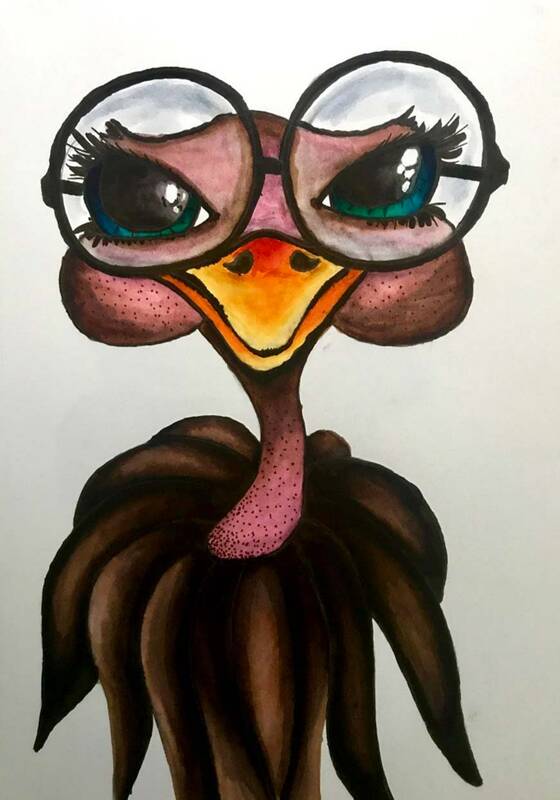 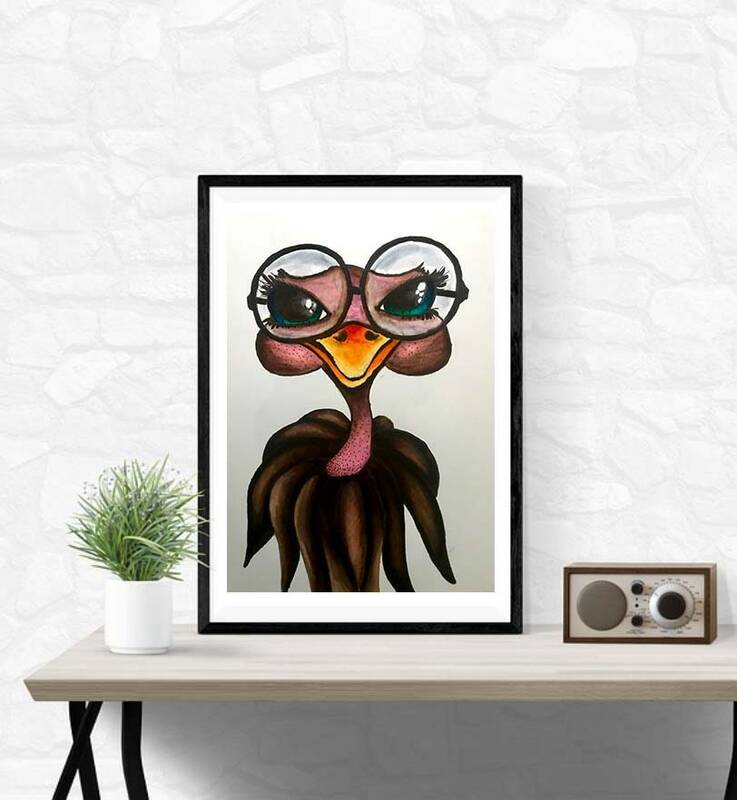 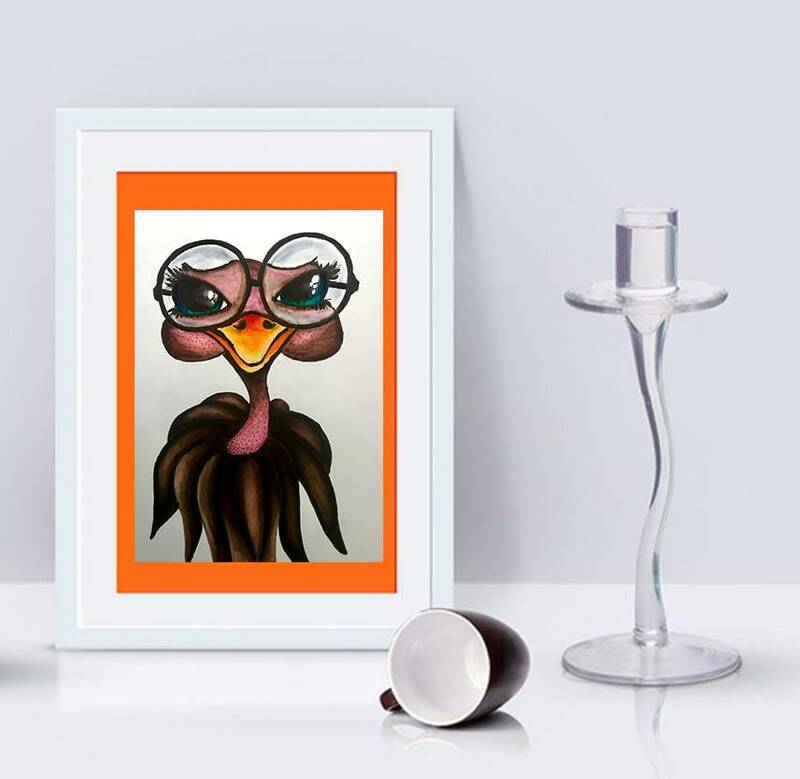 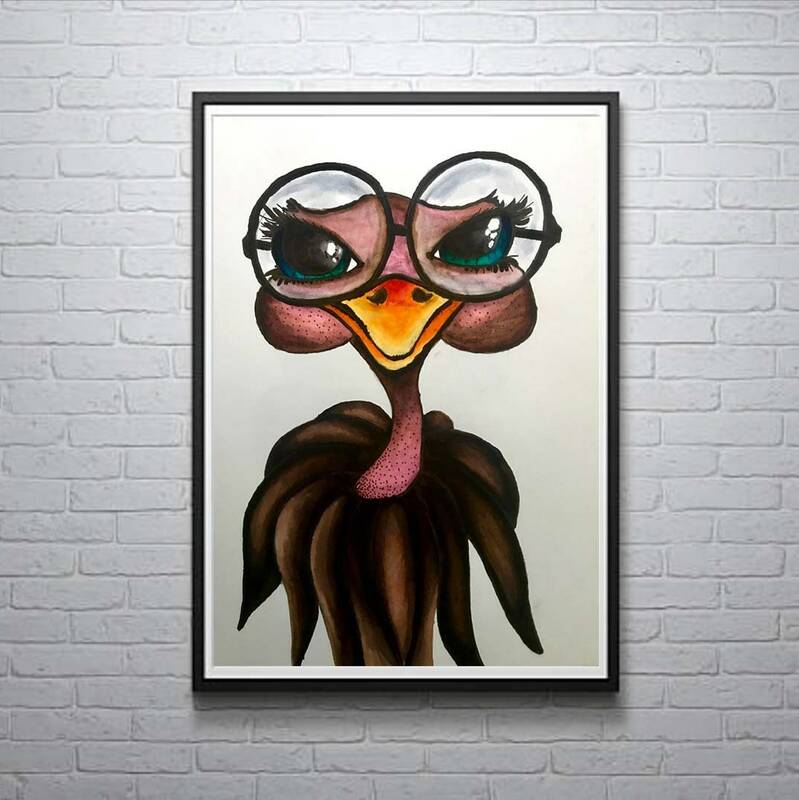 This Ostrich has such a fun personality she is sporting her glasses and ready to take on the world! 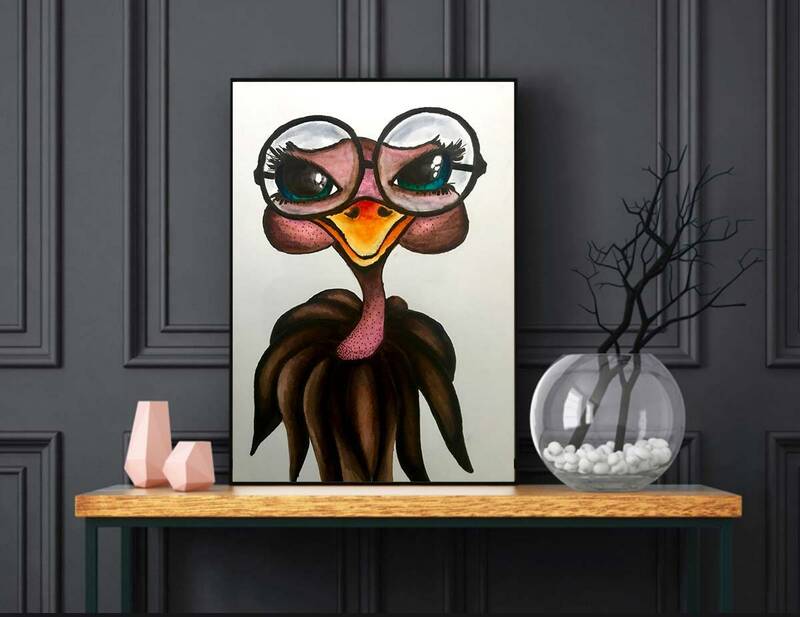 The print of this painting comes in multiple sizes and would look great in any bedroom, bathroom, or playroom. 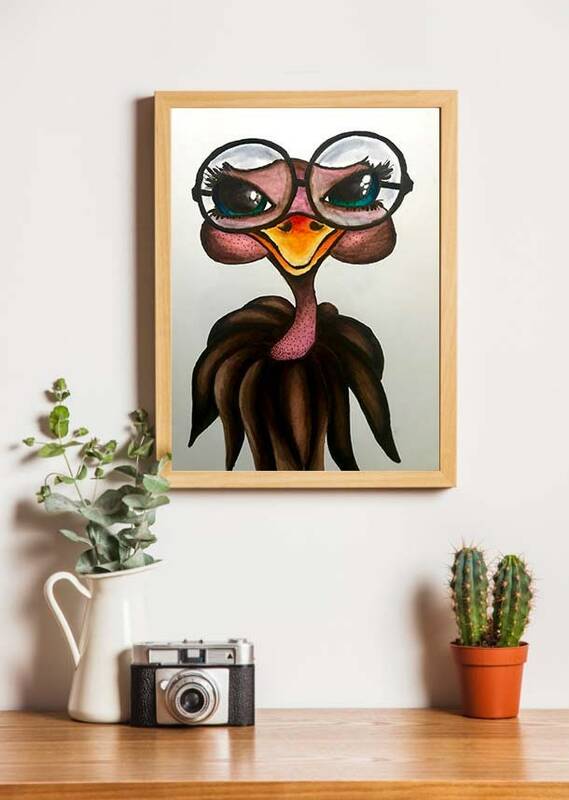 It is printed on 3M ControlTac Satin Finish Vinyl and mounted to Black Ultra Board and ready for framing or hanging without frame.